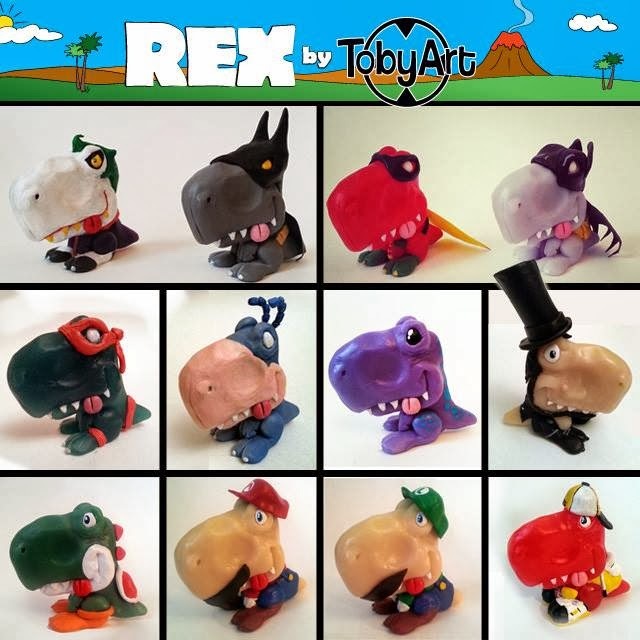 REX is a 100 run,resin toy series by TobyArt. Originally conceived for the 2013 Vinyl Thoughts Show 4 they have now been customized as commissions and promos, seen at Comic Con expos and art shows across Texas. TobyArt won the competition with one of these guys, but to be honest they are all the worth of showing here. Love this series. It is creative and well executed! 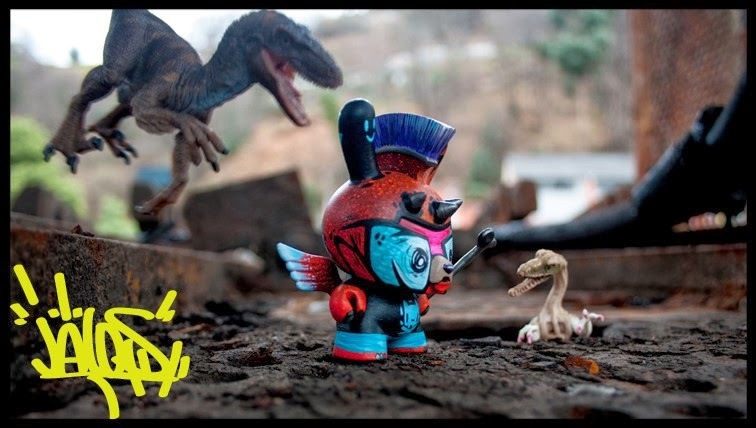 New Show at Toy Art Gallery? The fine folks over at Toy Art Gallery in Los Angeles are teasing us with the mysterious image above. Nothing more and nothing less. 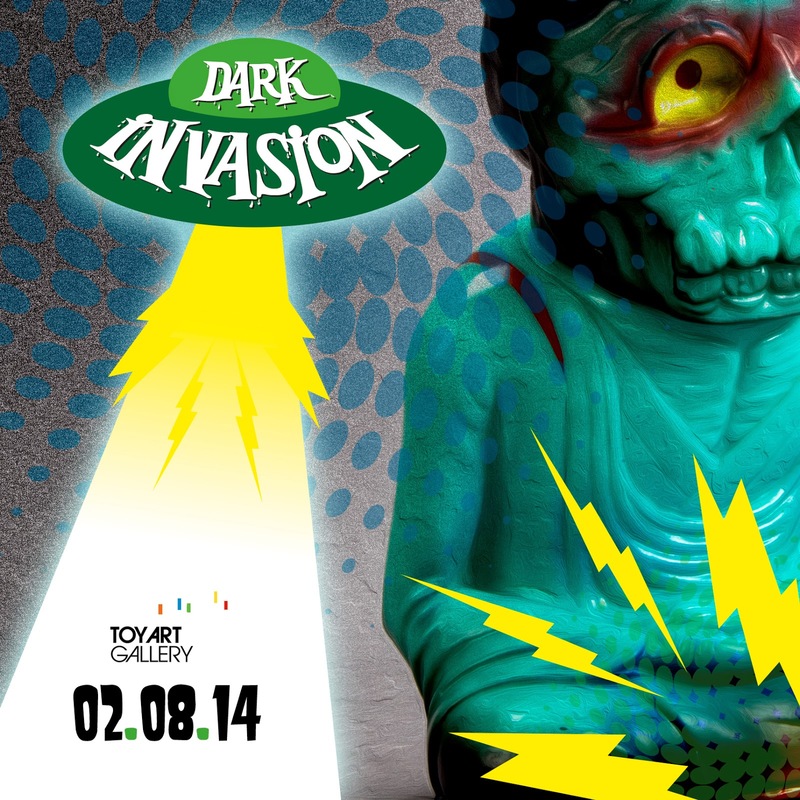 All we know is it is a show entitled "Dark Invasion" and it is taking place next month. More news as it comes. From out of the confines of The Jelly Empire march an adorable array of Jellyzilla- part robot, and part. Tomorrow, January 25th, these cute little forces to be reckoned with will be available Here at 1PM EST for $40ea. For more from Jellyzilla, check out their website here. Forget about Grey's Anatomy, Creo brings to life a concept born from streets. For years graffiti artist have been producing mind-blowing murals and canvas using their preferred spray can as an extension of their own body rather than a painting medium. Every artist has his or her own preferred choice of can but have you ever wondered what is hidden beneath the cold aluminium case? Manufactures insist that you should never pierce or dismantle the can regardless if it is empty or not. Wise words indeed because when Creo's curiosity took over and he opened his last empty spray can he couldn't believe what he discovered inside. Beneath the cold aluminium 'skin' lies a full spinal cord and skull 'cap'. Spray cans are living objects brought to life in an artists hands.The myths of steel ball bearings used to mix the paint are bogus - when you shake the can it is the vertebrae knocking together that makes the can rattle, wakening the can to life and producing the beautiful stream of paint when pressing the cap. 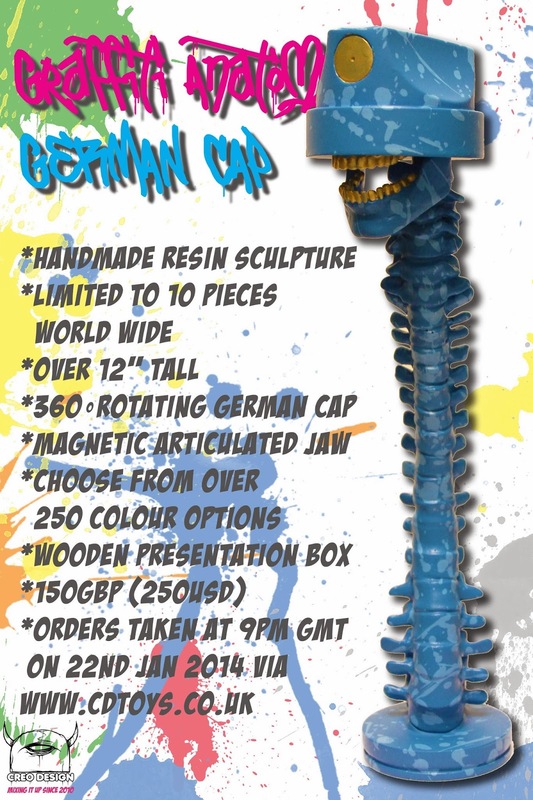 Creo has captured his discovery with the 100% original handmade resin sculpture that is fitted with a 'German Cap' and is limited to 10pcs world wide. 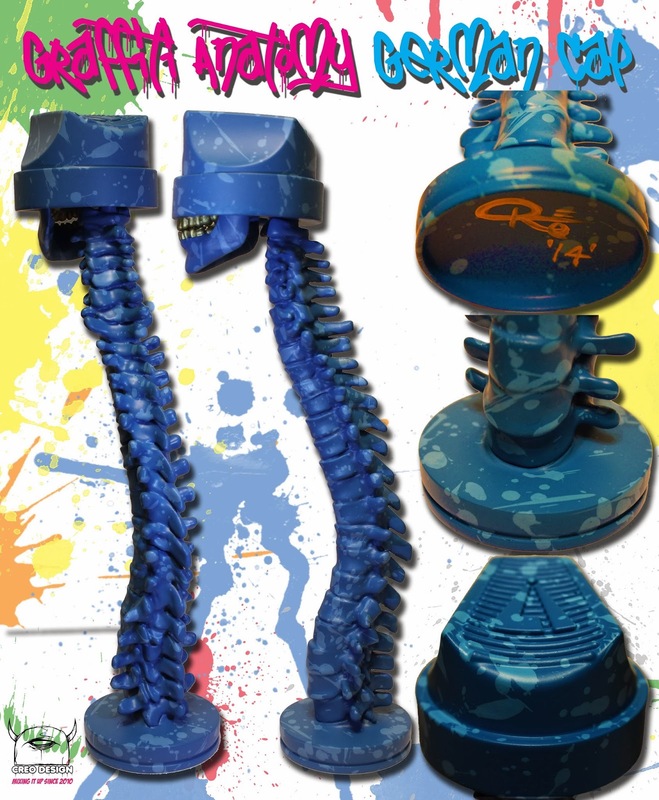 Standing over 12" tall with a 360 degree rotating cap and magnetic articulation in the jaw. As always Creo will allow customers to customise their purchase. Customers are allowed to select 2 paint colours for the body from over 250 colour choices. One is for the main body and cap the second is for the paint splatter effect - customers can choose not to have the paint splatter option. AND customers can choose a 3rd colour from 40 options for the cap 'eye' and teeth. Again customers can choose to have their Graffiti Anatomy as 1 solid colour. They can also be finished in either a matt or gloss lacquer. Each item will be signed and numbered and come in a wooden presentation box. 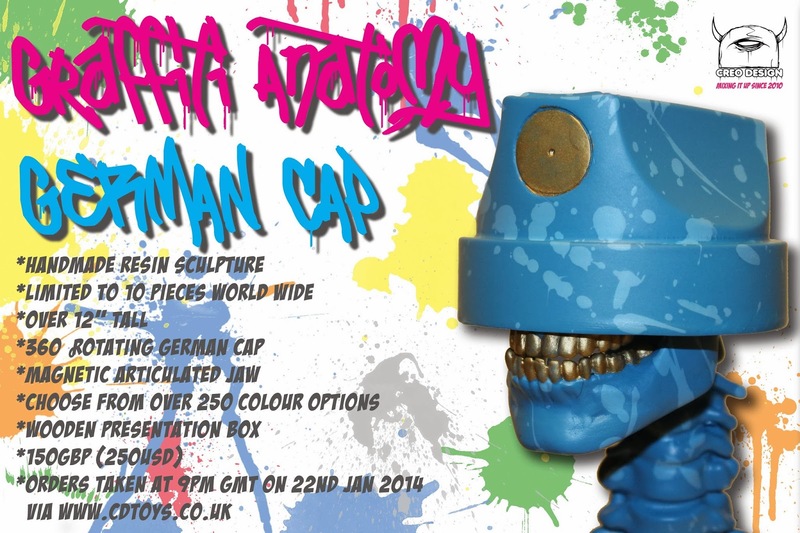 Orders will be taken via www.cdtoys.co.uk at 9pm GMT on the 22nd Janruary 2014. Each item will be made to order and take 4 weeks to complete from date of order. The RRP is £150 ex shipping (around $250 ex shipping) - shipping is done via courier due to size, weight. 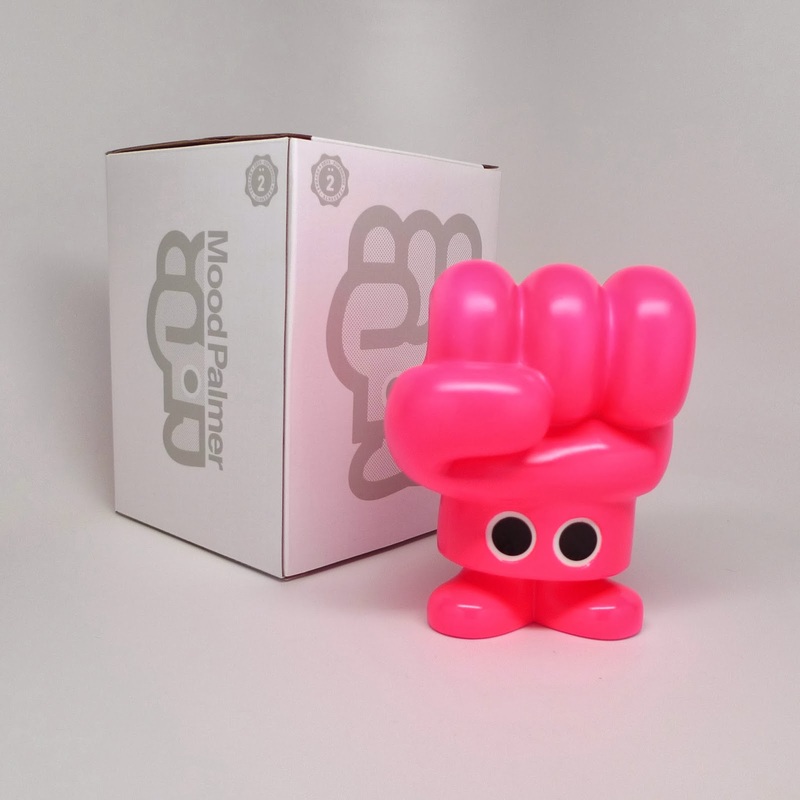 Mood Palmer... a new collection of vinyl toys designed by Sebastien Roux aka Superdeux. 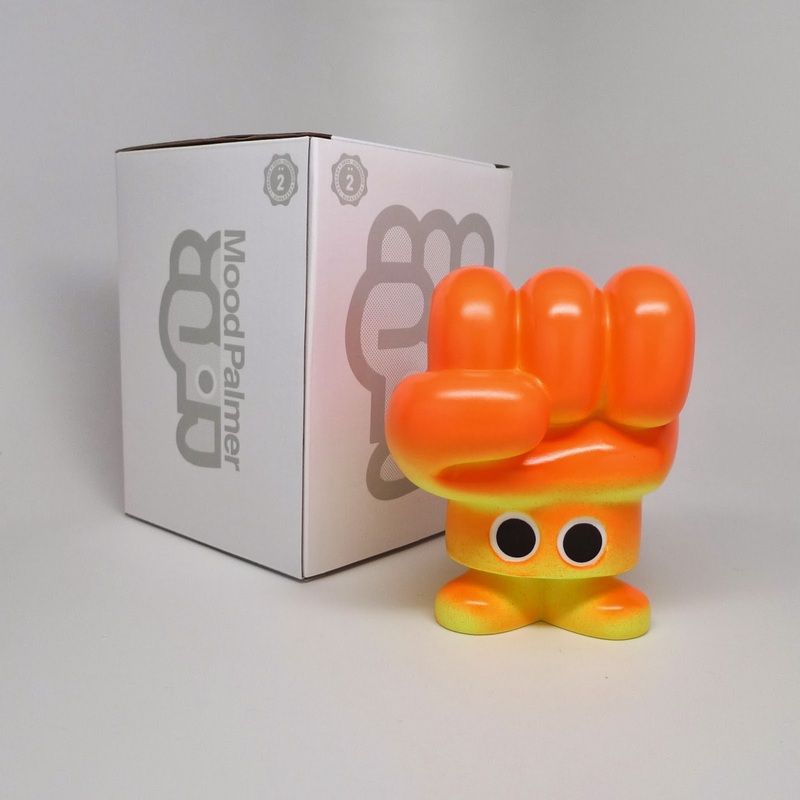 Previously featured in art shows around the world, Mood Palmer makes a triumphant return in 2014 with a brand new run of exclusive vinyl toys 100% produced by the artist himself. The limited series features Mood Palmer in three bold styles – the Original Mood Palmer Blue or Magenta, as well as one- of-a-kind custom-painted characters. Custom pieces are limited to 100 signed + numerated toys, each individually painted by hand at the Secret Feature studio in San Francisco. Who is Mood Palmer? Mood Palmer is a doer. He doesn’t waste time speaking and lets his hands do the talking. The series captures the spirit of Mood Palmer as he is in 2014. Independently developed and designed entirely by Superdeux, Mood Palmer is the reflection of a can-do, the DIY attitude. Limited Edition of 100 Original Mood Palmer Blue, 100 Original Mood Palmer Magenta, and 100 custom hand-painted pieces. Characters measure 5” each and range in price from US$49-89. $85 USD Includes worldwide shipping. 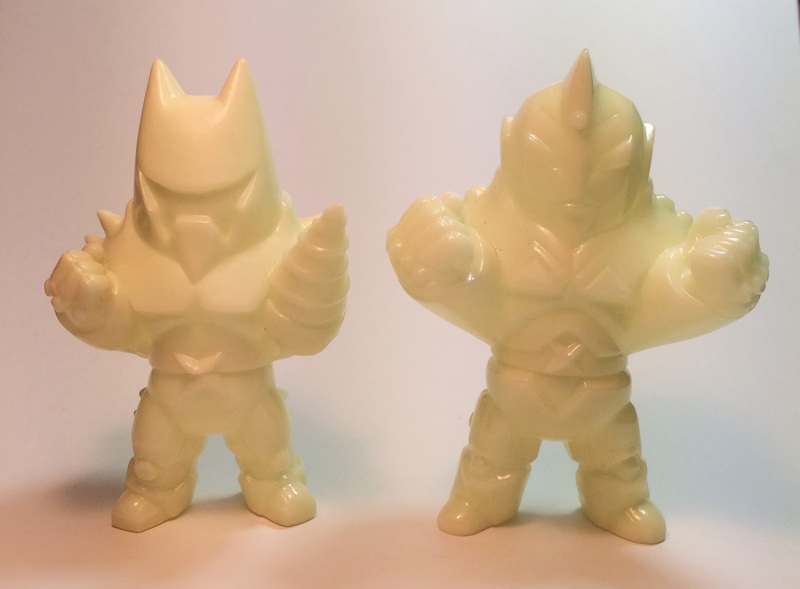 After a successful release of a custom Quasimoto Dunny, Melodreama decided to do a slightly bigger run of 5 hand painted Resin Bootleg Quasimoto Dunnys. 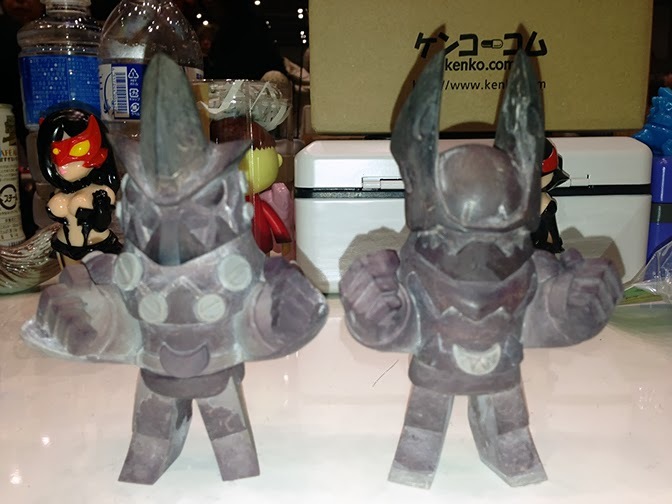 I am referring to these as Bootleg Dunnys because these pieces are a complete resin duplicate of an original custom, rather than just a partial resin piece. A whole debate could be had over the term bootleg, with regards to Resin but lets leave that for another day. 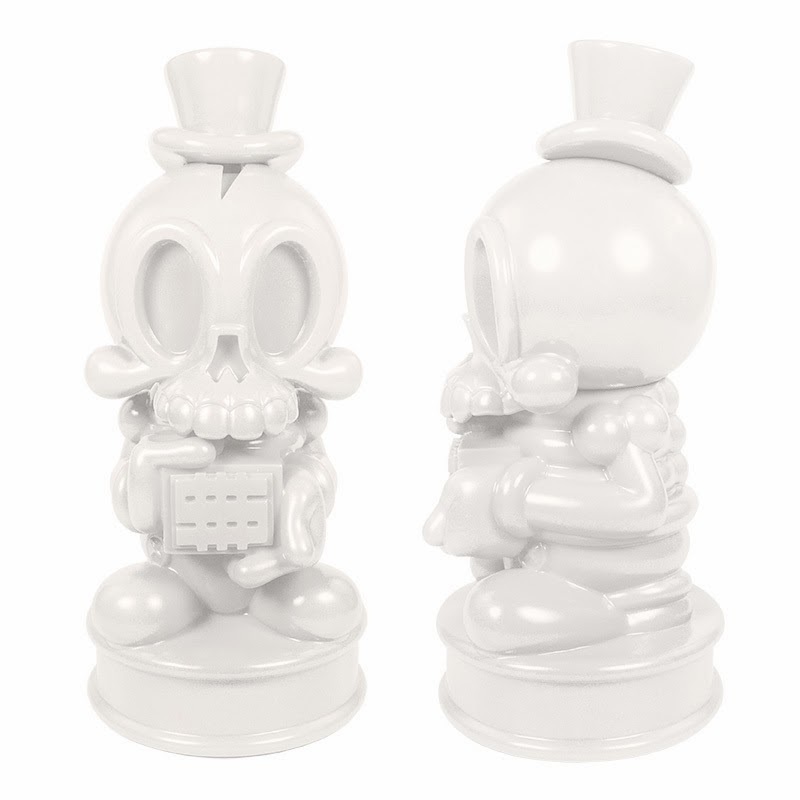 Either way, these pieces sold out just as quickly as the original piece. In order to accommodate the increased interest in these pieces, Melodreama has decided to open up a Pre-order for all those interested in picking up one of these Quasimoto Resin Dunnys. Priced at $45 each, plus shipping, the price could be a bit lower, considering. 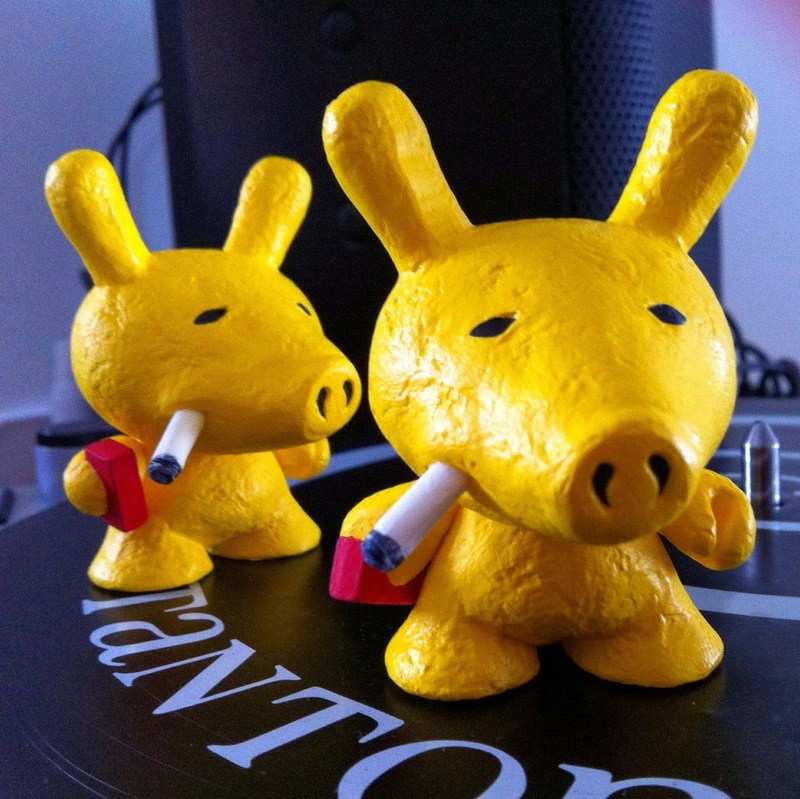 Anyone who is interested in picking up one of these Quasimoto Resin Dunnys, should do so now, since there is no word of how many plan to be made. Disclaimer: All opinions expressed in these blog posts are that of the Author and in no way a representation of Tenacious Toys. 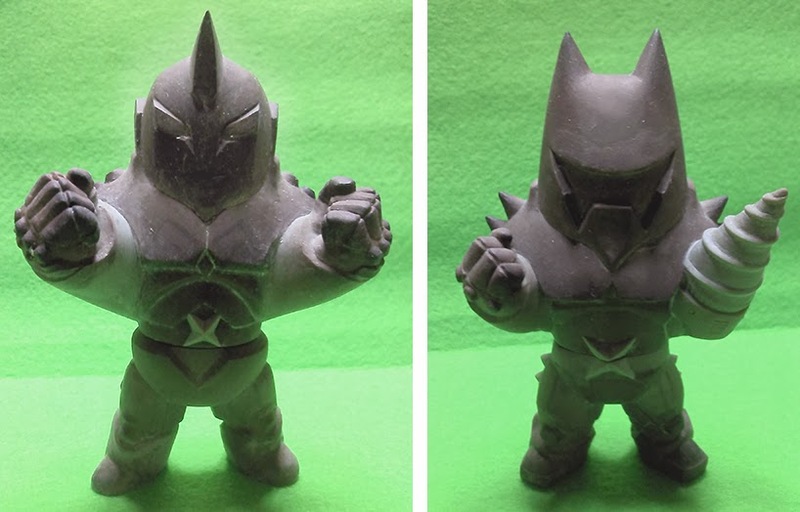 MAD, from MAD Toy Design, is having some fun with the new 3D Printer. 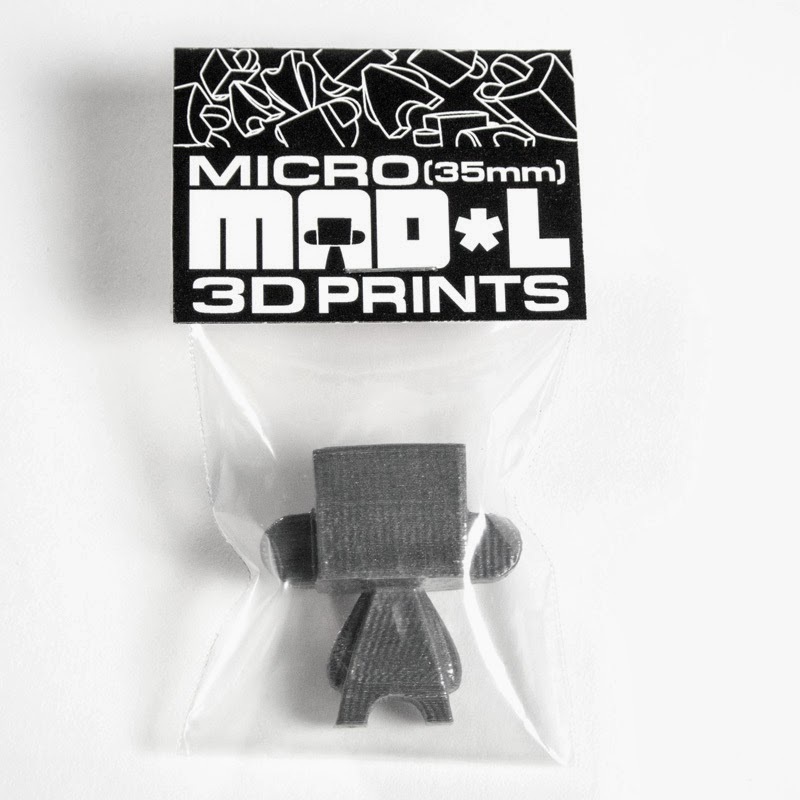 The latest edition of Micro MADLs to be released is a Silver ABS Micro MADL. Like the previously released colors, the Silver Micro MADL retails for $15 each plus shipping and comes bagged with a signed header card. 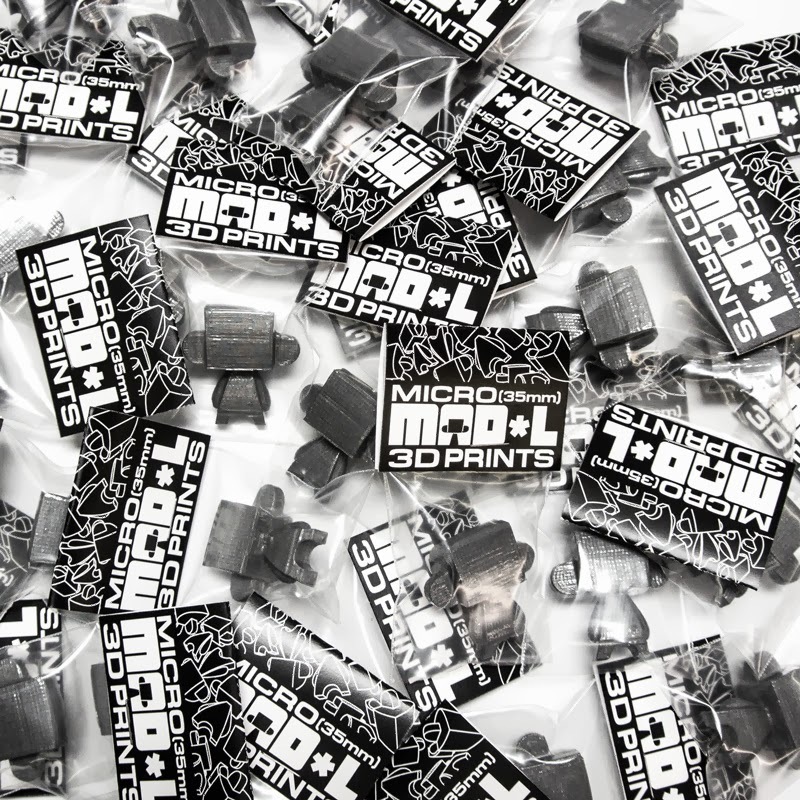 MAD still has some Blue GID Micro MADLs in the store also, so take a look around. Keep in mind that MAD loves all the colors of the rainbow, so be on the lookout for more colors in the future. These Micro Modern Heros is going to make a great addition to anyone's mini-fig collection. Alchemy may be considered a defunct science, but Flawtoys puts it to use on a series of Al-kimia Androids.
" "Al-kimia" is the Mystical Essence of the Sacred Art of Alchemy; Alchemists developed theories on the possibility of the transmutation of metals, the philosopher's stone, and creating artificial life in laboratories, as in later medieval European alchemy." This series of 5 custom androids, featuring sculpting, cutouts, and metallic finishes, releases on Vinylriot.com January 29th at 3PM EST. Anthony Ausgang's 2nd colorway of Bomb Cat, in Panic Pink, drops on Wednesday, January21 at 10am PST. Originally cculpted by Dave Pressler and produced as a limited edition art multiple, the first Bomb Cat sold out years ago. 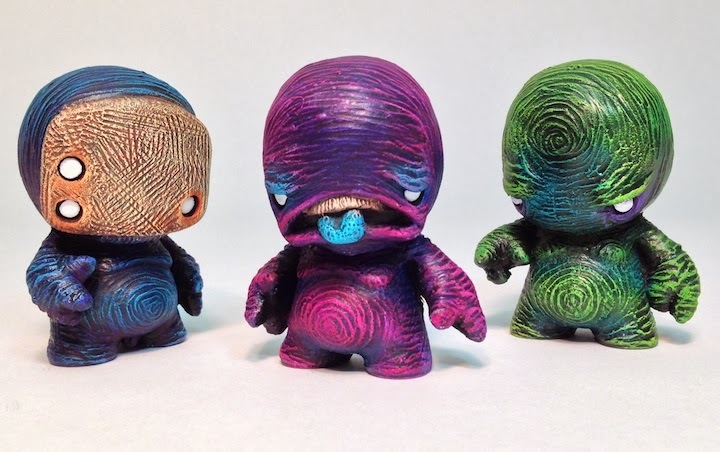 Anthony Ausgang teamed up with Munky King last year to create more in different colorways, starting with the initial release at the Munky King booth at SDCC 2013. This latest colorway is going to be released on Munky Kings online store and is priced at $50 plus shipping. Limited to only 50 pieces, this Panic Pink Bomb Cat colorway features a silver colored chain and wick. These will probably sell quickly, so act fast. 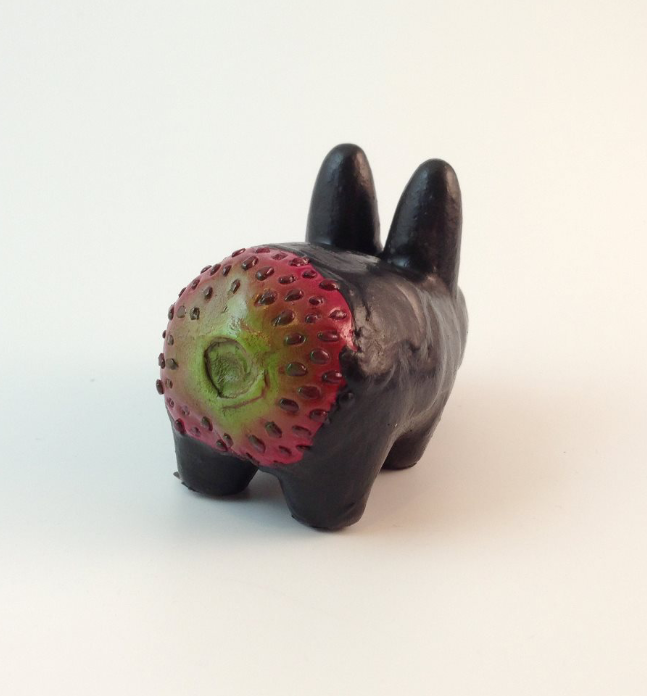 Just in time for Valentine's Day, Meathead toys is offering up these one of a kind Chocolate COvered Strawberry 3.5" Labbits. They are only available for a limited time and each one is hand made as they are ordered. They are available for $30 on the Meathead toys website, but only until January 30. 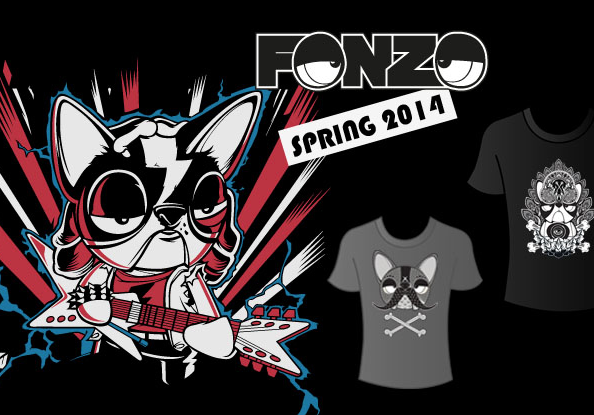 All orders are guaranteed delivered by February 7th and will com packaged in a red gift box. Each figure stands roughly 3" tall and comes sealed in a nifty lil blindbox. The price is $35 individually or $300 for the full set of 10, saving you $50. These guys are available through Shadoedelgado.com, wearenottoys.net and tenacioustoys.com. 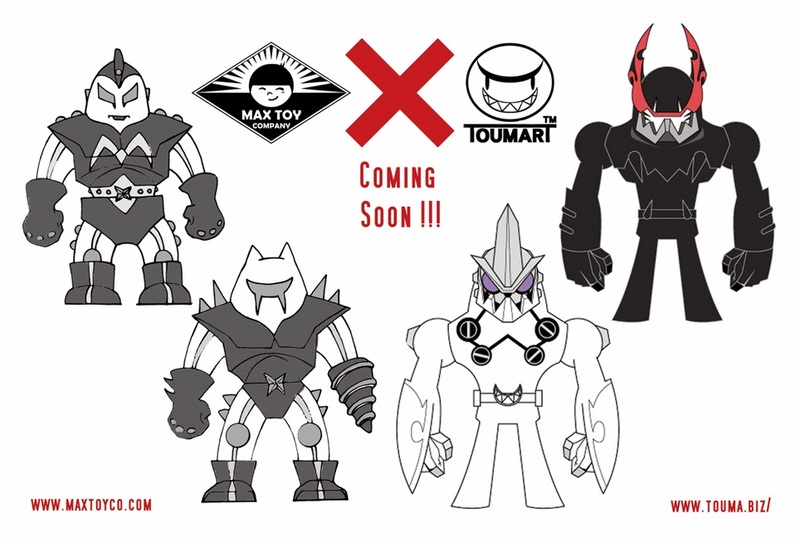 The Maxxbot and Maxx Sentry figures were designed by Mark Nagata and sculpted by Makino-san of TTToys. 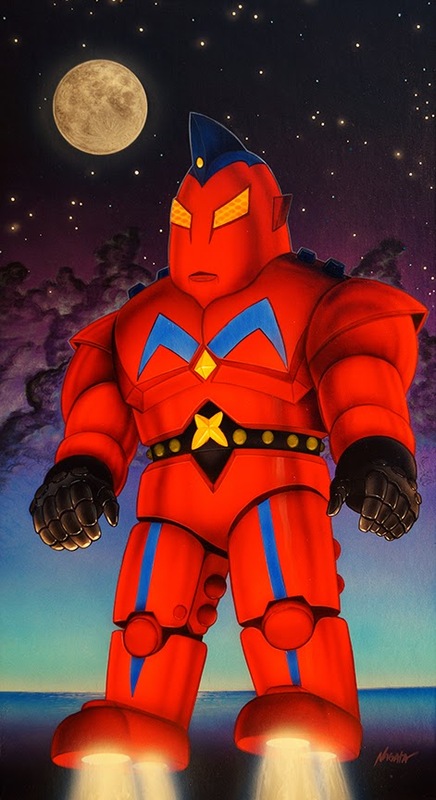 Touma's Dark Robots were his design and also sculpted by Makino-san. 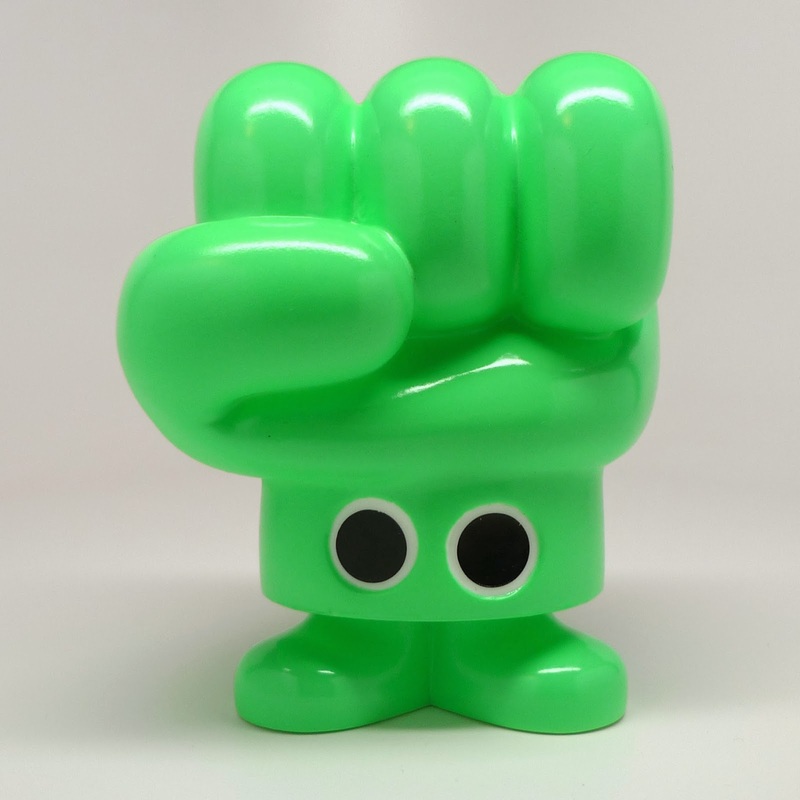 MaxToyCo has only released the glow Maxxbots in a Max Toy Lucky bag that came and went in December. A more proper release in a different vinyl color will be coming soon, with fully painted one later down the road. 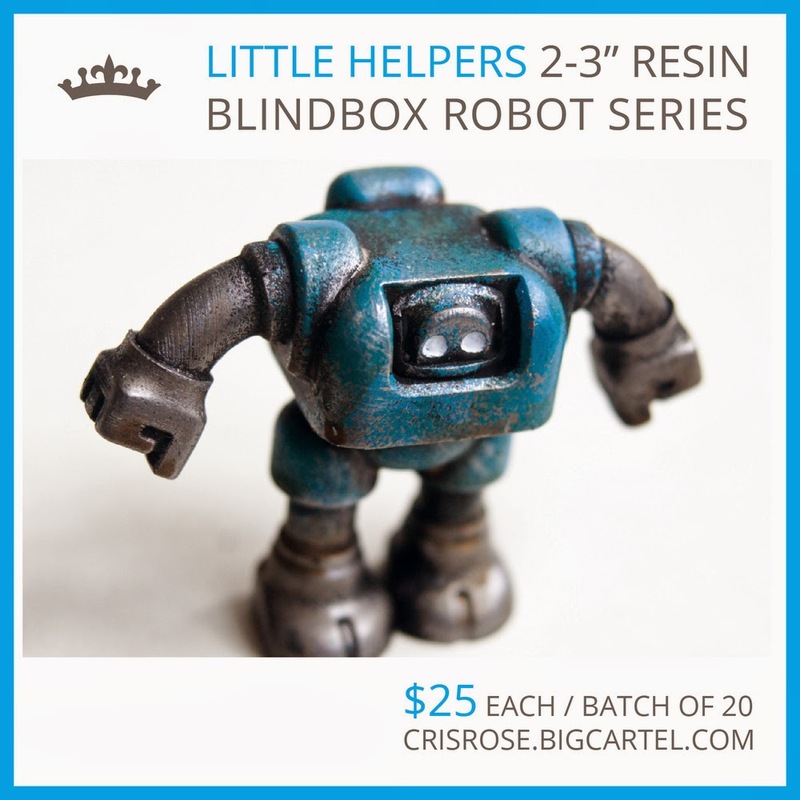 Cris Rose is releasing some new affordable little resin robots that he's been teasing for a few months now. 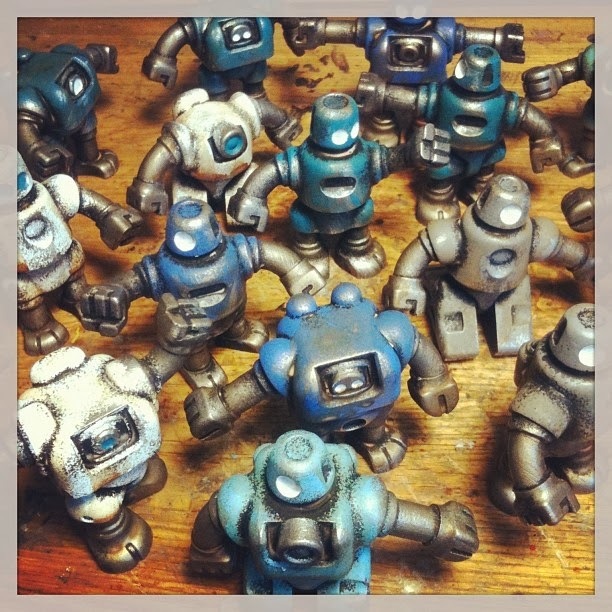 In between restoring some old Gameboy as part of some project, Cris Rose has created a new set of fully hand painted, 2-3" resin robots, called Little Helpers. Priced at $25 each, these 2-3" Little Helpers feature no articulation or lights, nor can they automatically vacuum the carpet. These Little Helpers are, however, hand painted and feature some great detail and craftsmanship, something that Cris Rose tends to pride himself on. 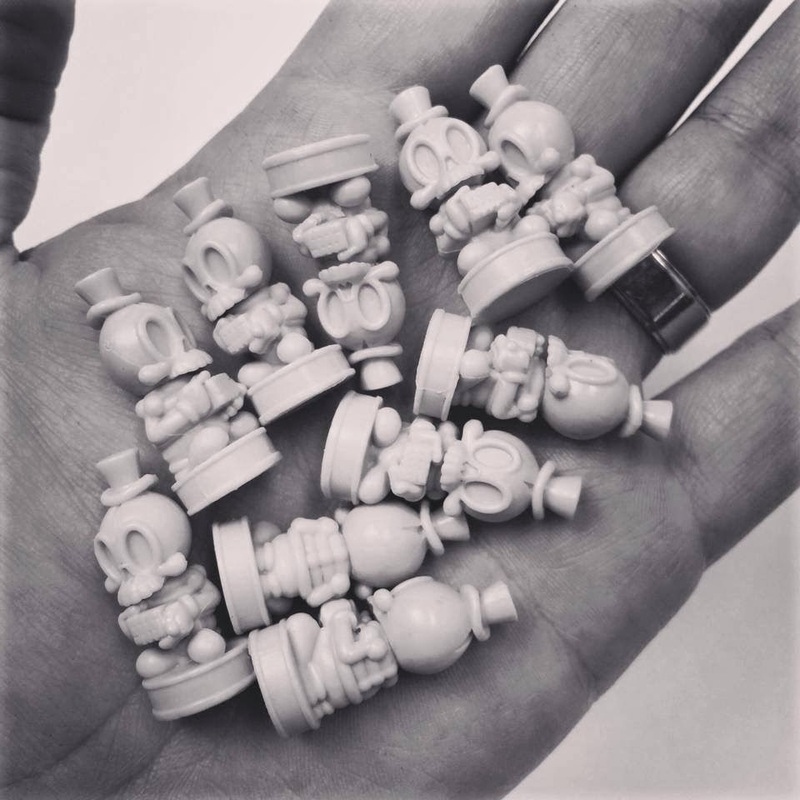 This first batch of 20 Little Helpers will be sold blindboxed and mostly be painted in winter blues and whites, with a Gold chase thrown into the mix. From the sound of it, this is just the beginning, of what will possibly be a rainbow of available colors in the future, with each released batch containing a gold chase. This first batch of Little Helpers is going to become available in Cris Rose's online store on Thursday, January 23, at 6PM London Time (10AM PST). Again, each robot retails for $25 plus shipping and will be sold as blind boxed. So, what is shown in the various available pictures does not necessarily represent what will be received. 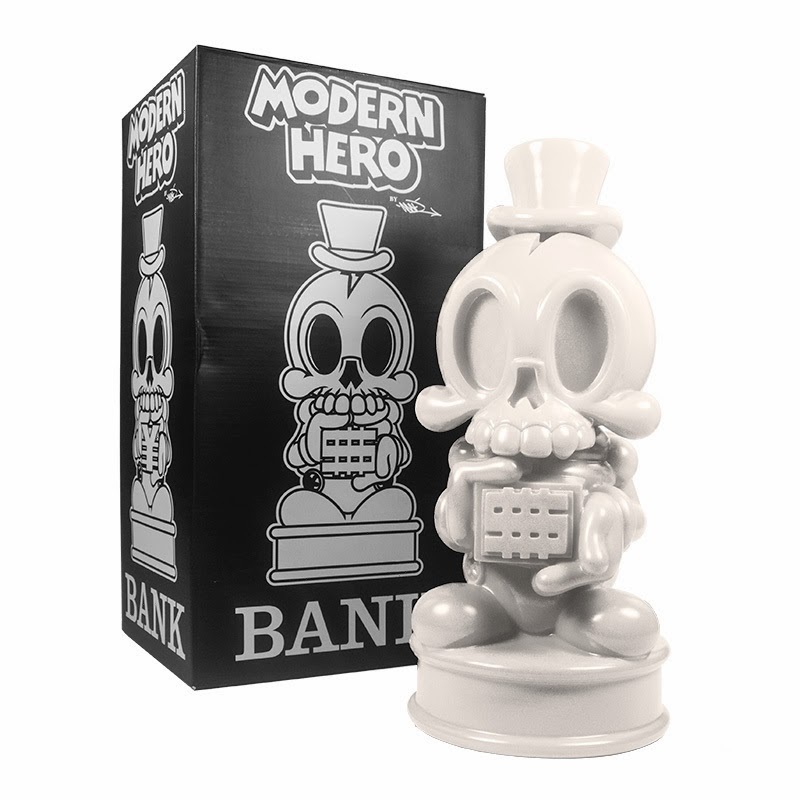 MAD Toy Design recently made the White 18" Modern Hero Bank available, as a MAD Toy Store exclusive. Limited to only 30 pieces, this huge white coin bank features a removable hat to reveal the coin slot, as well as an articulating head. The huge bank retails for $150 plus shipping. 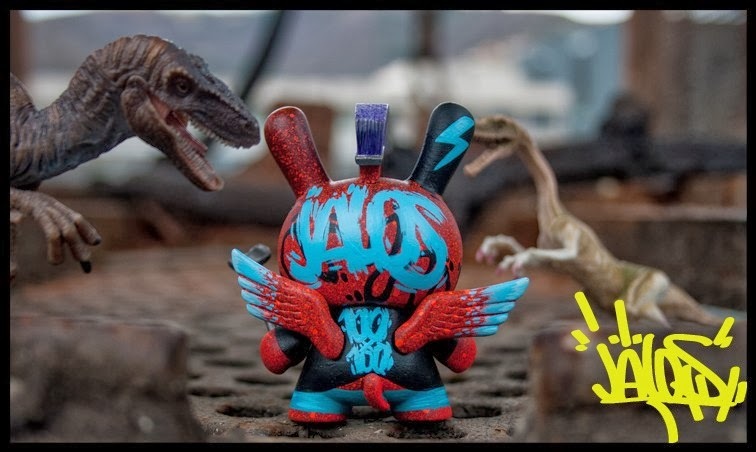 Take a look at all the colors on MAD Toy Design's website here. This will make a great addition to any collection, with many colors to choose from, for now. 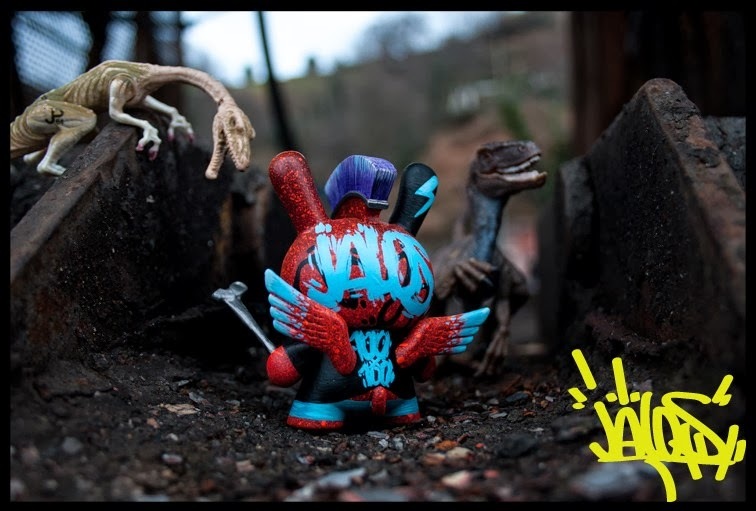 This is a new commission from Spanish artist Jalos titled JPK vs. JP. You can follow him on Facebook and Twitter and make sure to check out his Instagram and Flickr sites. 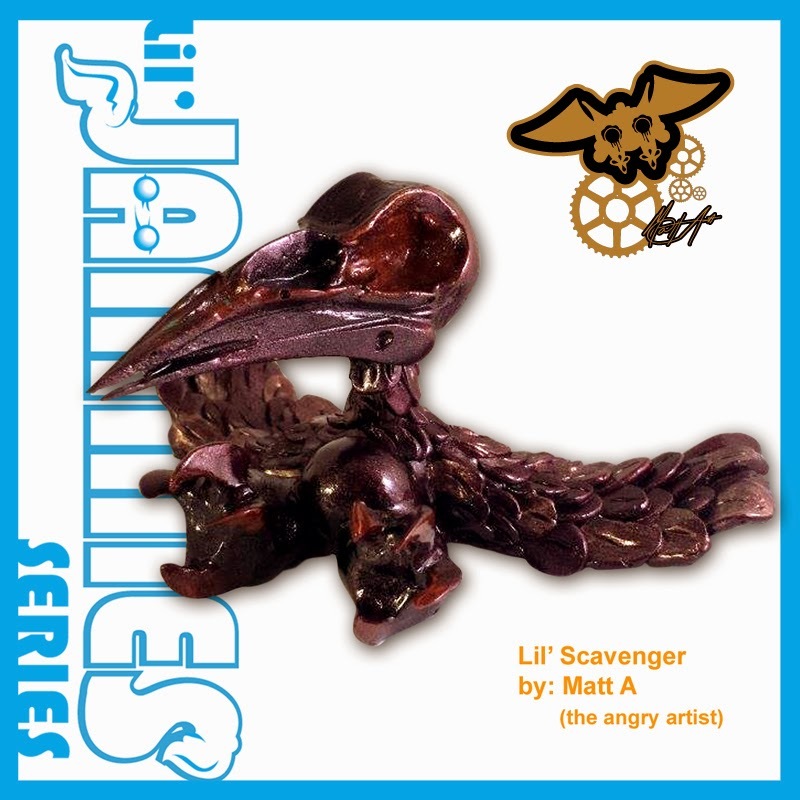 Matt A might consider himself "the angry artist", but that anger doesn't stop him from being an awesome sculptor. 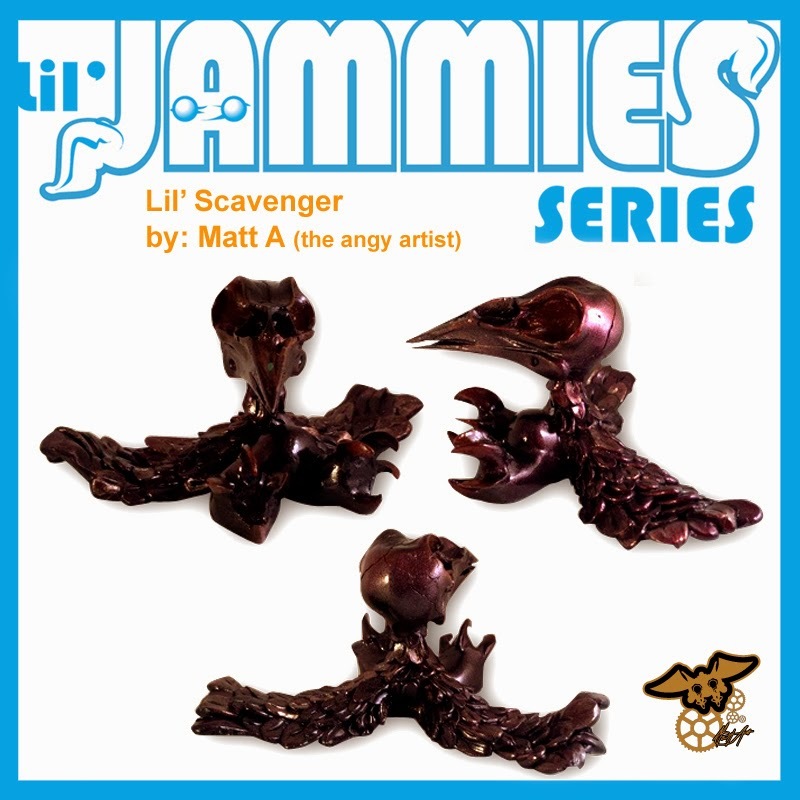 Matt A's Lil' Scavenger is the latest piece to be revealed as a part of Fuller's Lil Jammies Series. Matt A sculpted over the entire piece, creating a small vulture-esque figure. Lil' Scavenger still has the general shape of the sitting Lil Jammie figure, but features sculpted wings and talons. The head has also been replaced with a sculpted skull which highly resembles a vulture's skull. A great piece overall, but could probably use a little more color to really give it life. The Lil Jammies Series is expected to be available on January 31st and will retail for $70 plus shipping. To make this series more enticing, Fuller has teamed up with stores Vinyl Riot and Collect and Display to give away two DIY packages to a couple of lucky customers who purchase a Lil Jammie from the series. Keep an eye out on this blog for more releases. 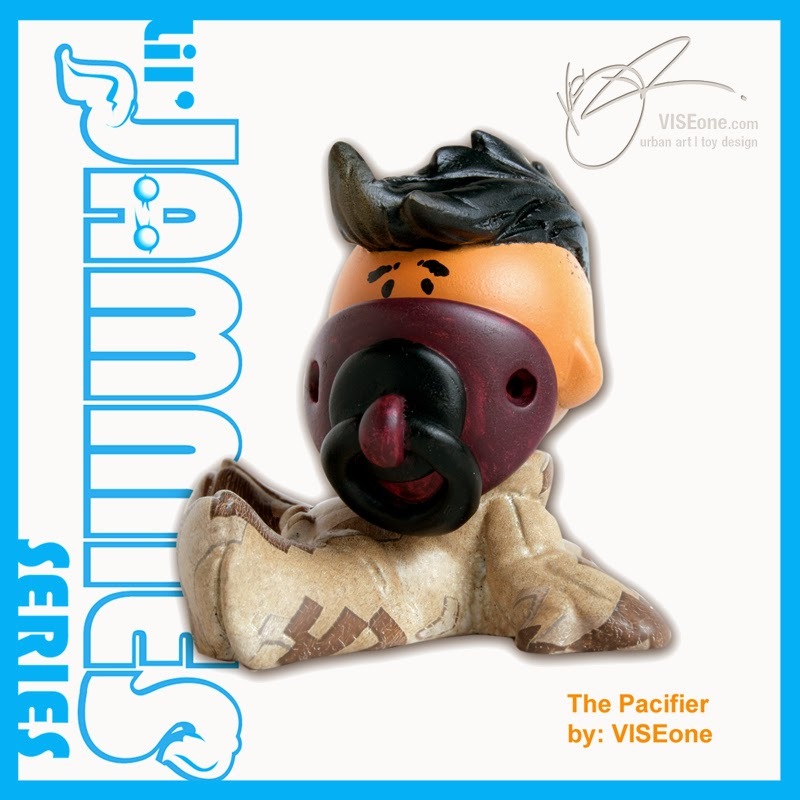 The Pacifier by VISEone is the latest reveal for Fuller's Lil Jammies Series. Half expecting a Tube Lil Jammie by VISEone, The Pacifier keeps more of the original Lil Jammies figure intact, while adding a bit of sculpt to the face, the added feature being the over sized pacifier. Paint on this piece is a little simplistic, compared to what VISEone has been known to produce. Overall, a nice addition to the growing number of reveals for Fuller Designs Lil Jammies Series. The Lil Jammies Series is expected to be available on January 31st and will retail for $70 plus shipping. 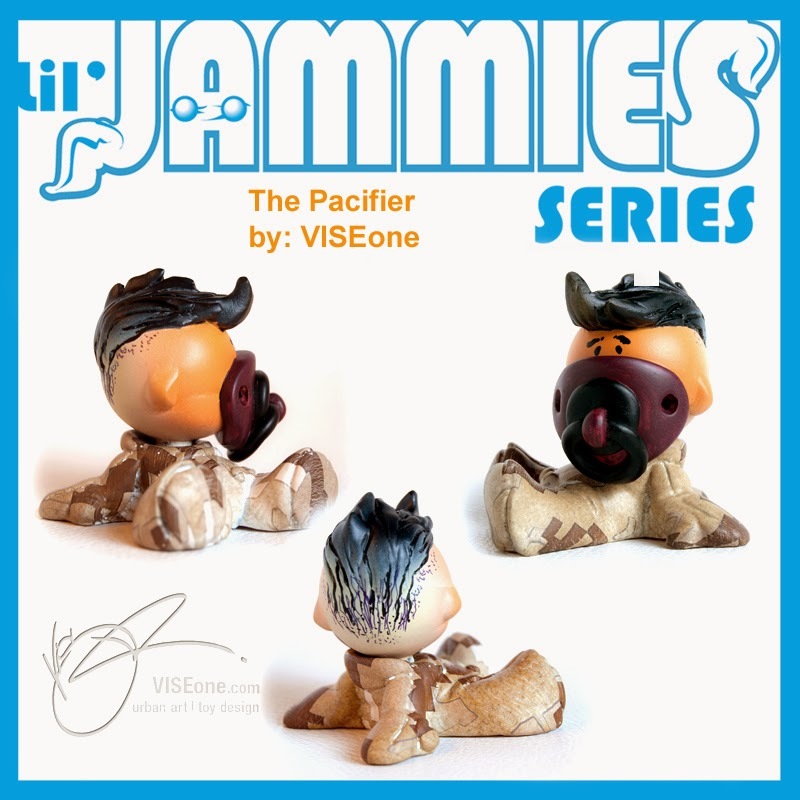 To make this series more enticing, Fuller has teamed up with stores Vinyl Riot and Collect and Display to give away two DIY packages to a couple of lucky customers who purchase a Lil Jammie from the series. Keep an eye out on this blog for more releases and information. Fuller Design's Lil Jammies Artist Series is shaping up nicely, with great customs being produced on the Lil Jammies platform. 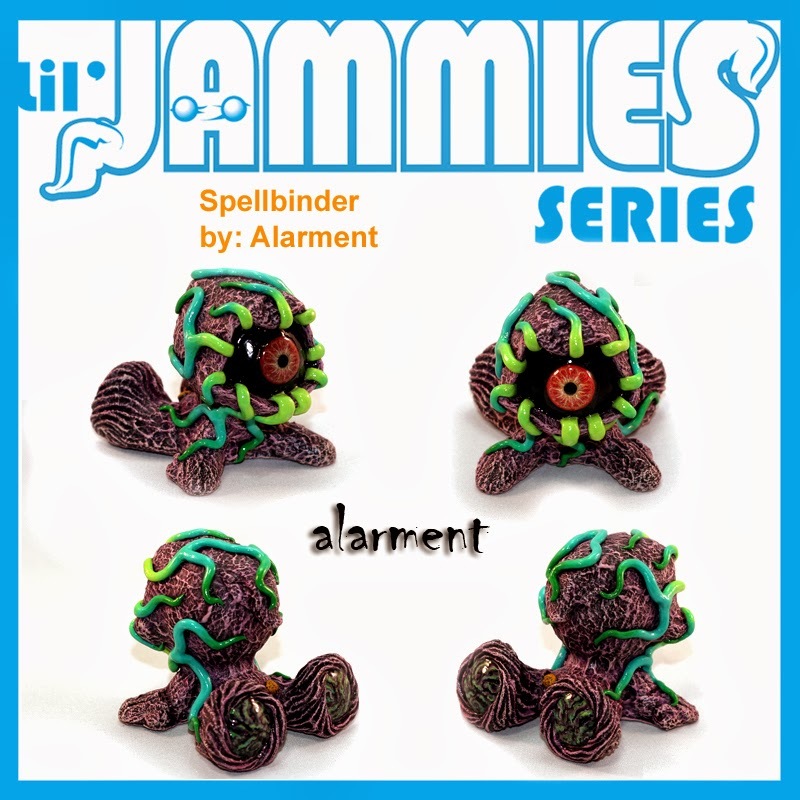 Spellbinder is alarment's contribution to the Lil Jammies series. 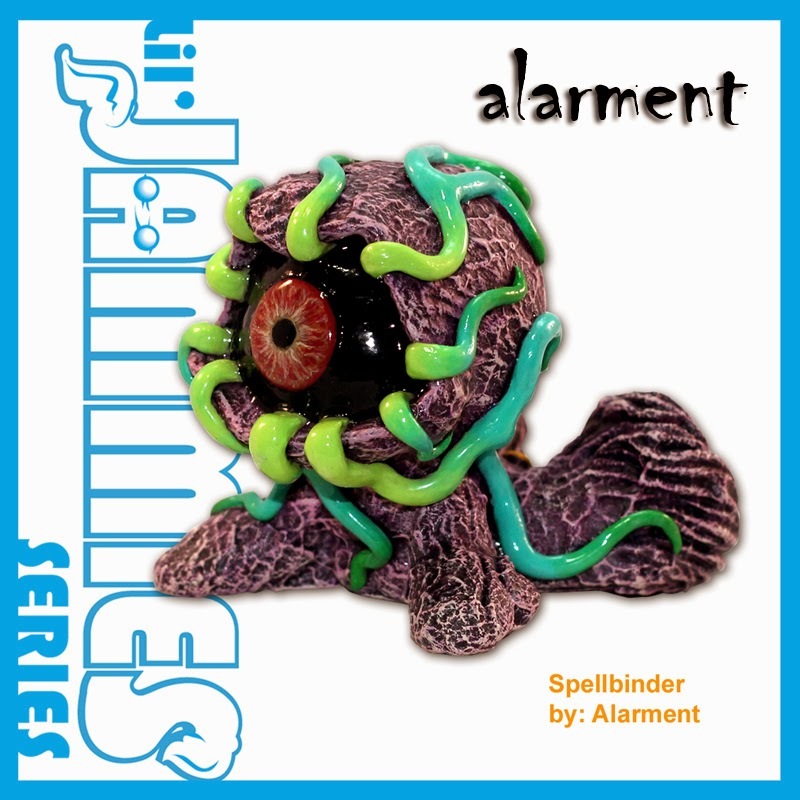 With a lot of sculpting over the original design, alarment made what was originally the back of the Lil Jammie's head, the focal point of Spellbinder. Alarment did a great job keeping the overall Lil Jammies shape, while also combining the creature aspect, which is typical for alarment's customs. 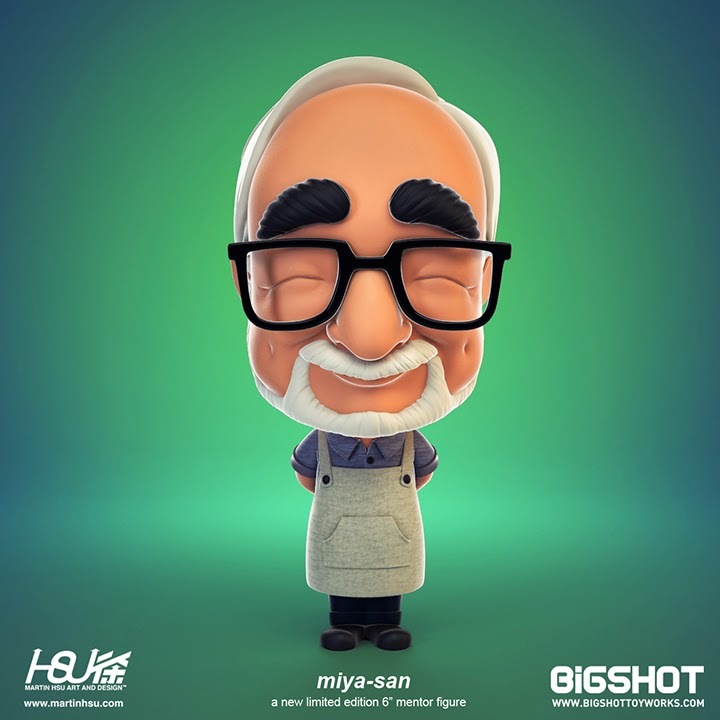 Click here on January 21 to preorder the Miya-san resin figure. Price is $95, with proceeds going to charity. Figure is 6 inches tall, limited to 300 pieces and comes packed in gift box packaging. 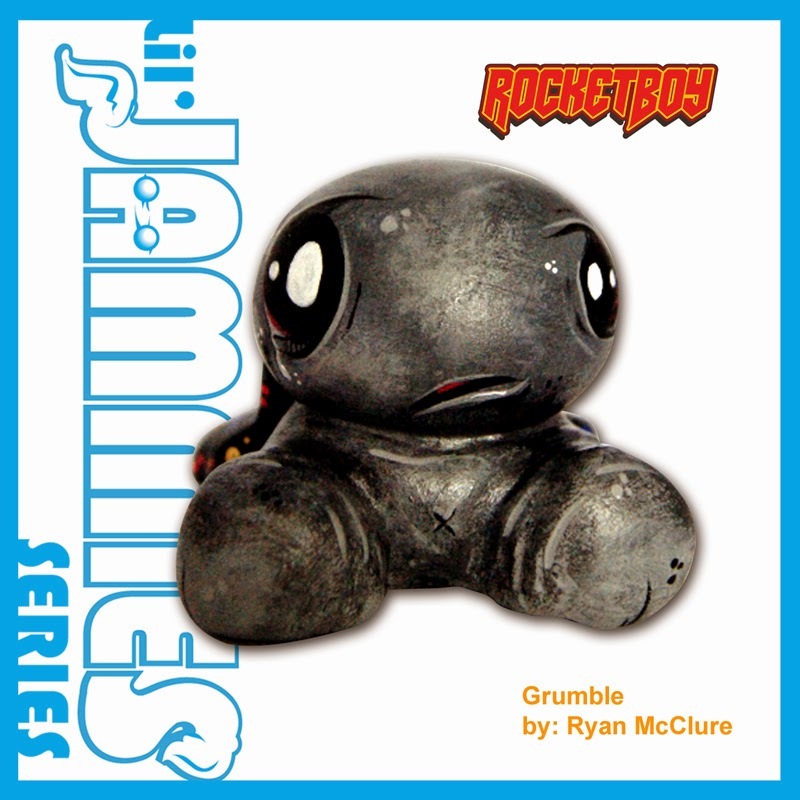 Rocketboy, Ryan McClure, created this little guy named Grumble, for Fuller's Lil Jammies Series. 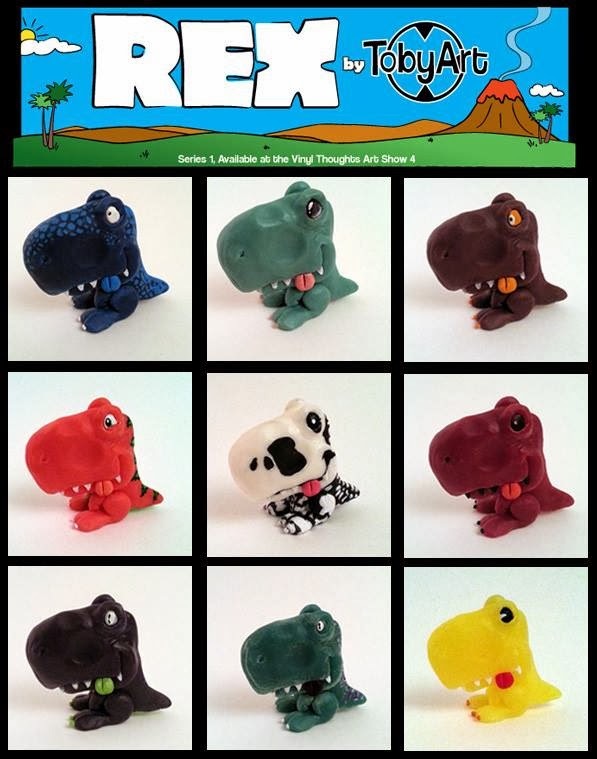 The Lil Jammies Series consists of 1-off customs from various artists, each utilizing the Lil Jammies sculpt, which was originally created by Fuller. 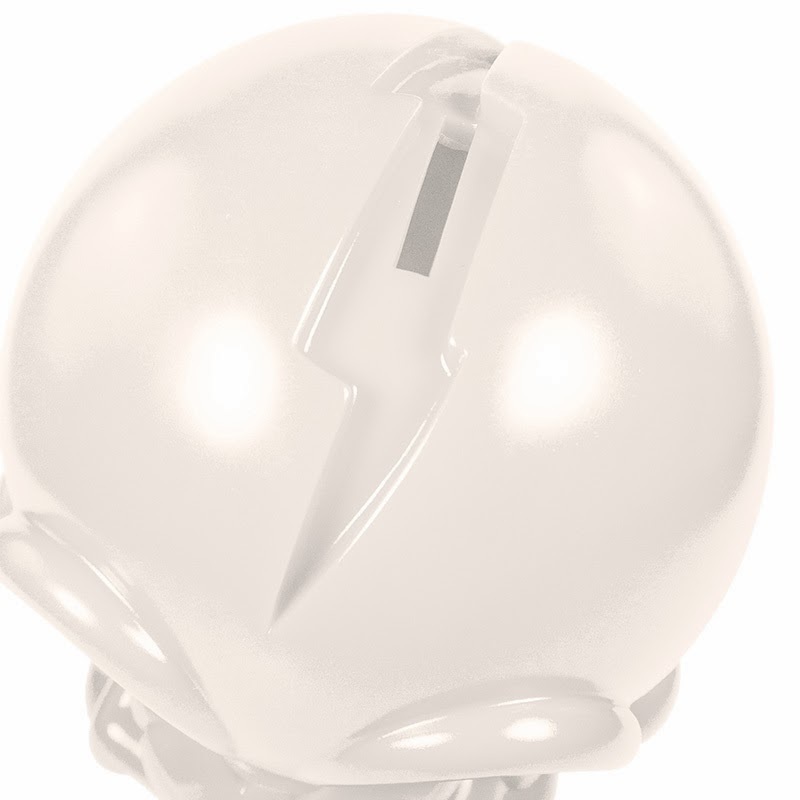 While the original Lil Jammies figure has an articulated head, Rocketboy chose to sculpt Grumble's head in place. Grumble also features facial expressions and coloring which is typically seen in Rocketboy's customs. 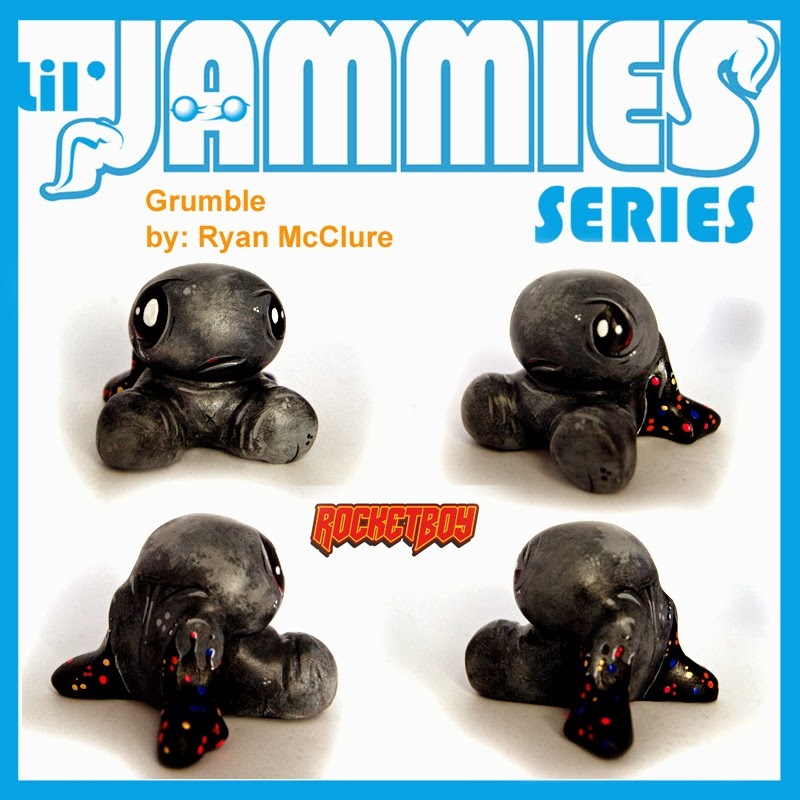 Grumble is just the first teaser for the Lil Jammies series to be released, with more great customs to follow. The holidays have come to an end, and you find yourself with nothing to look forward to... But wait! Something exciting is on the horizon! Snowgirls! A reason to celebrate winter after January 1st! 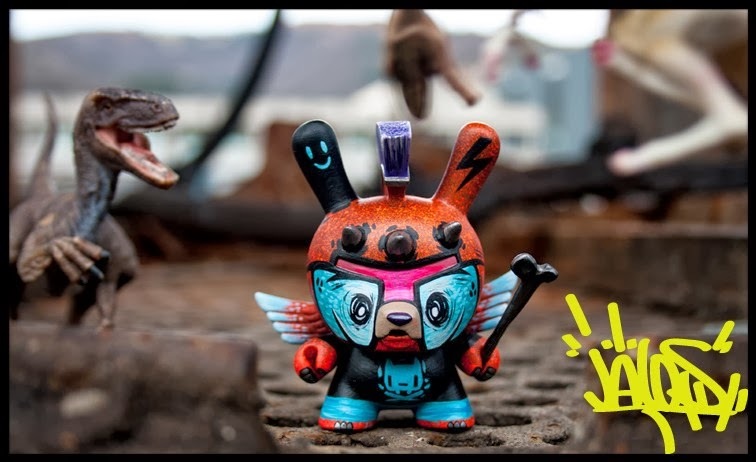 Sculpted by the lovely and talented Blazon Brikhaus, and painted by SoKo Cat, this Dunny series is limited to 5 unique pieces. Select from adventurous Suzy, bubbily Jessica, proper Regina, quirky Olivia, and idealistic Nora!